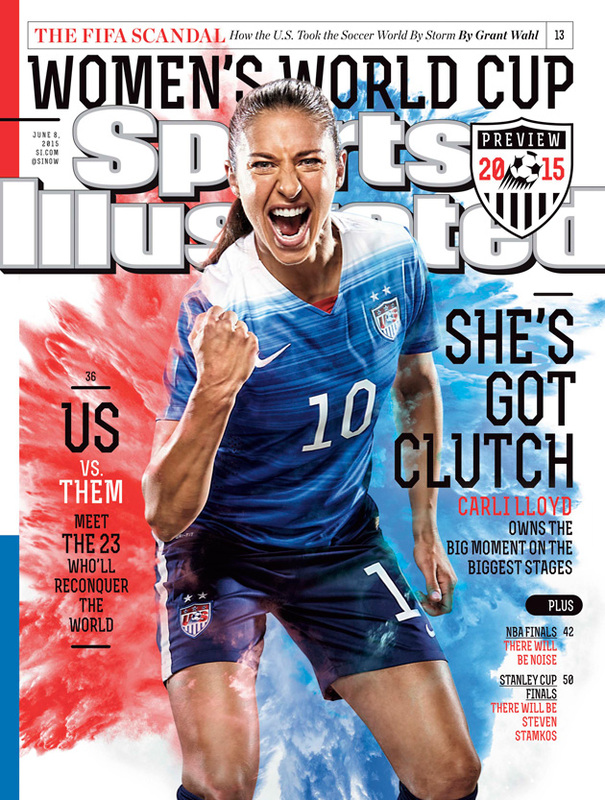 What makes USA midfield stalwart Carli Lloyd go? 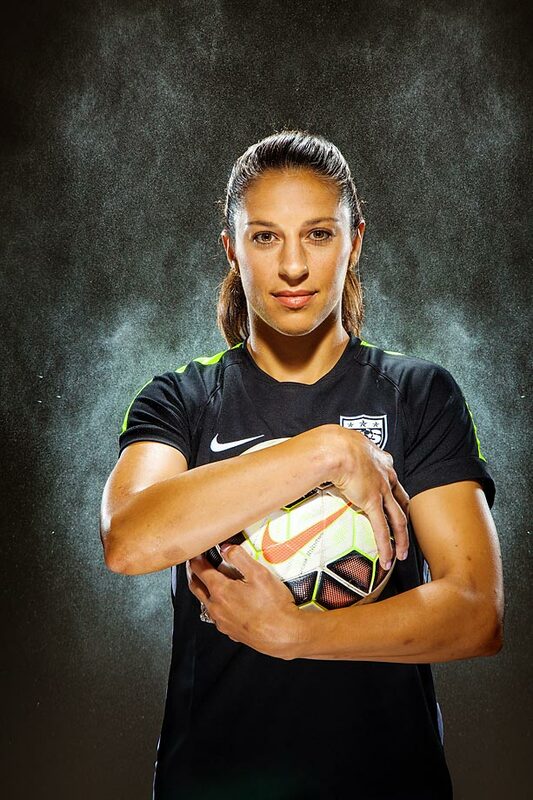 She developed a sense of determination that defines her, and she's been coming up big for the U.S. women's national team ever since. 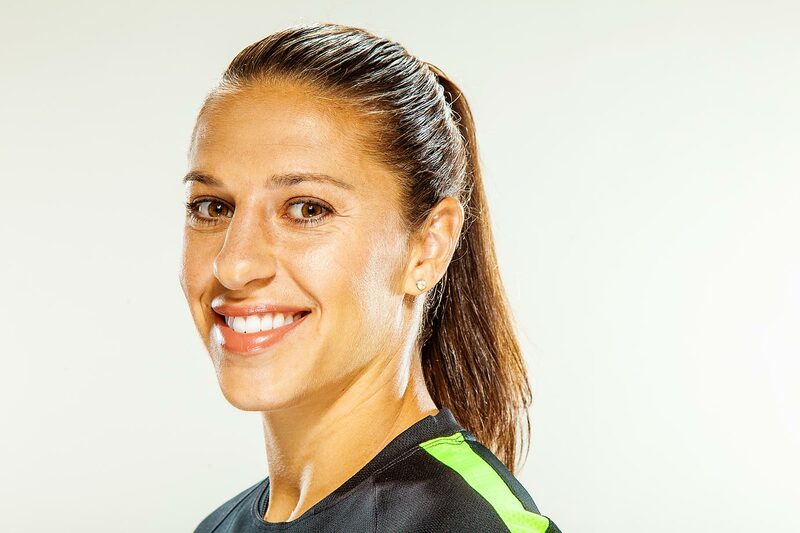 Here is Brian Hollins’s favorite story to tell about his fiancée and U.S. women's national team midfielder Carli Lloyd: Every year Brian’s family stayed at a campground on a lake in Raystown, Pennsylvania. Senior year of high school, he brings along his girlfriend, Carli. Standing on a grassy bank, the family of golfers liked to tee up golf balls and drive them across the lake. Carli, fresh out of the water, sopping wet, in her bikini, sees this happening and wants to try. It’s about a 350-yard drive to make it across the lake and Carli, who wasn’t even a golfer, thinks she’s actually going to hit it to the other side. With wet hands, she swings as hard as she possibly can… and the driver goes flying. Growing up in the small, blue-collar town of Delran, New Jersey, Lloyd lived on one side of Vermes Field, Hollins lived on the other. Most days she was the girl playing pickup with all ages of Turkish guys. When there wasn’t a game, she headed out to the field alone, lugging a bag of balls she’d found out in the woods after weekend tournaments. (“I was kind of a ball scavenger,” she says.) Her routine: shoot, fetch, shoot again–for hours. Her lips, chapped and blistered from the wind whipping across the field, red rings radiating out from them, earned her the nickname “Four Lips,” which stuck all through childhood. While Lloyd was always the consummate soccer junkie who hung out at the field, she often coasted–her constant pickup games with older Turkish men, coupled with her constant tinkering with the ball, meant she was way better than everybody else her own age and never really had to try. Lloyd got a wake-up call when she was cut from the U-21 national team. That’s when she decided she would do whatever it took to make it to the top; that’s when she developed her trademark drive. 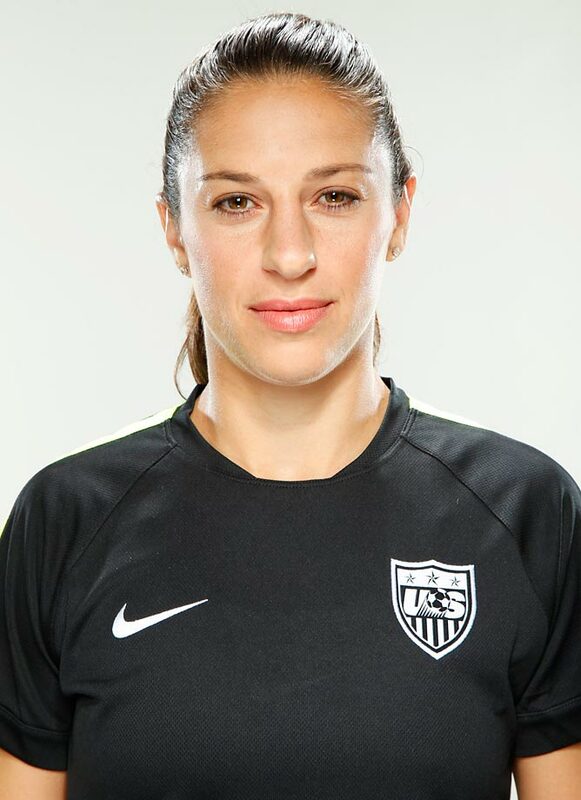 Her junior year of college, she started meeting Galanis at the field, training for four to five hours at a time. She recalls her first training session: Galanis tells her to run for 15 minutes and she just looks at him. Lloyd is not the flashiest player on the field or off of it, and, despite being the player who scored the gold-medal winning goal at both the 2008 and 2012 Olympics—the only player in history to score in back-to-back Olympic finals—she’s often just to the side of the spotlight. What’s within her control is her work ethic–and the player who was once out of shape now gets her confidence from how much time she puts in to shaping her legacy. 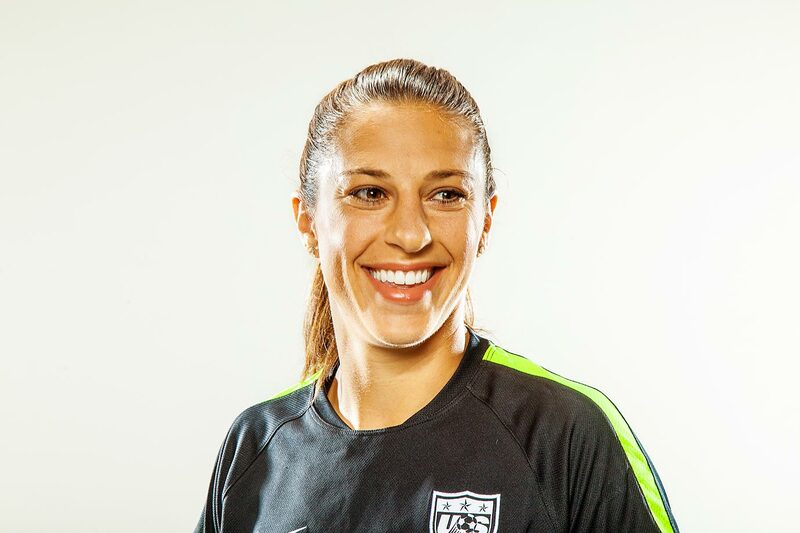 ​Galanis recalls getting a phone call after she’d won the Algarve Cup and taken home top-player honors. Galanis bred her on stories of the greats—how Bruce Lee would do 10,000 sit ups a day, how Muhammad Ali trained on Christmas morning—and Lloyd took it to heart. 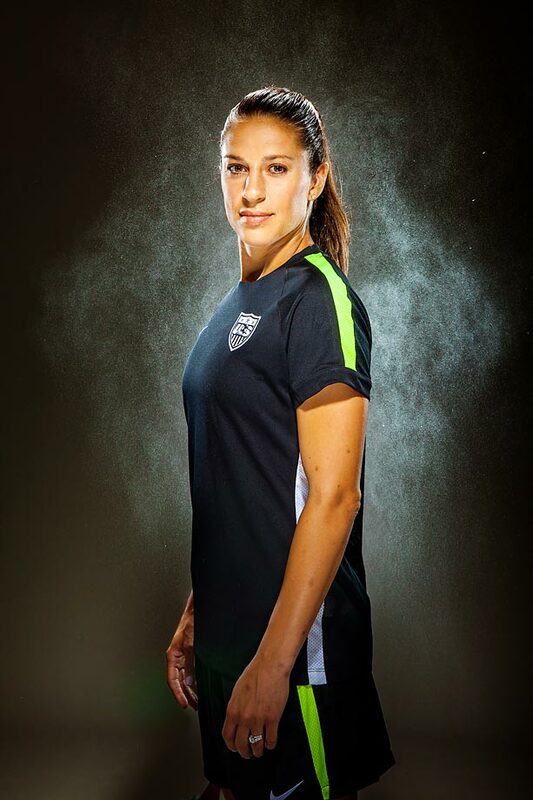 In the off-seasons, when she’s not with the national team or playing with her professional team in the cold December, January, and February months, she comes home to New Jersey and plays in intense indoor pickup games with local semi-professional and college guys. Often, they are short on numbers, and Hollins, who played soccer in high school, comes out too. Almost always, he is playing opposite of Lloyd. The couple goes at each other, Love and Basketball-style. “She is by far the most competitive person I know,” says Hollins. In January, after nearly 15 years of long-distance dating, Lloyd playing for professional teams all over the country, the couple got engaged. Their wedding date is set for after the 2016 Olympics, so that she can focus on nothing but the game until then. Her fiance won’t be in Canada—Lloyd explains, “When you go solo, it’s so much easier to focus – and Brian and my family understand that.” And, she confesses, there’s some superstition involved: the two times she had no family with her, she won the Olympics. So Hollins, who grew up watching Lloyd play on their neighborhood field, will once again be watching Lloyd, this time from a local New Jersey bar as Lloyd plays in front of the world.